■動画　デイヴィッド・リンチ アート制作ドキュメント映像 "David Lynch / Work" & 作品集"Works on Paper"
商品パッケージの寸法: 46.2 x 32.3 x 7.1 cm"
Works on Paper by David Lynch - Who, What, Why | AnOther. "A step by step guide to highlights across fashion, art and culture — November 9, 2011 —"
Fondation Cartier pour l'art contemporain. 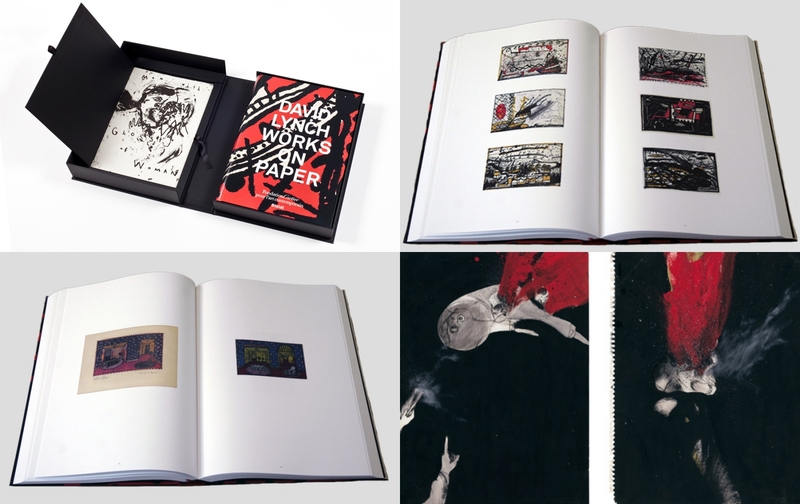 David Lynch, Works on Paper — Limited edition Limited edition of 50 boxed sets containing the book Works on Paper and a numbered and signed litograph, specially created by the artist. Price on demand Available in exclusivity at the Fondation Cartier bookshop and on fondation.cartier.com Contact: vania.merhar@fondation.cartier.com"